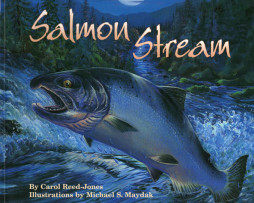 Named a prestigious CBC/NSTA Outstanding Science Trade Book, this is a poetic yet accurate description of the life cycle of salmon. For kids, it’s fun and eye-opening. For teachers, it’s a valuable supplement to a unit on water, fish and ocean animals, and the life cycle. Fast-paced prose and brilliant illustrations follow the salmon from their form as eggs in a stream to the wide ocean, eventually making a hazardous journey home to their stream of origin. The Naturalist in a Box is an experiential, hands-on environmental education material for children ages 5 through 9. 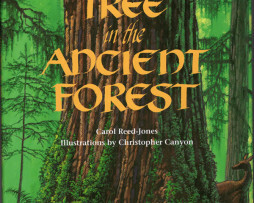 The material is designed to be used independently by the child as he/she explores and learns about the Scarlet Macaw. 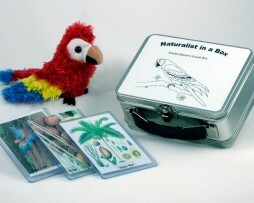 The Naturalist in a Box Scarlet Macaw contains a Folkmanis finger puppet of the Scarlet Macaw, its lunch box with a description of the Scarlet Macaw, its habitat and zoological information for the student and teacher on the inside cover for reference, Laminated pictures that represent what a Scarlet Macaw may eat. 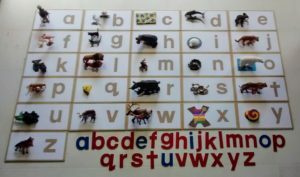 You receive a Montessori lesson plan for the teacher/parent detailing how to use the material and the extensions possible, and a reproducible coloring page for the child to use. The Naturalist in a Box is an experiential, hands-on environmental education material for children ages 5 through 9. The material is designed to be used independently by the child as he/she explores and learns about Spotted Owls. 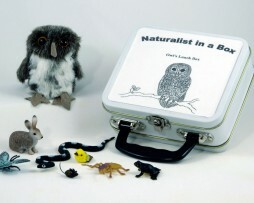 The Naturalist in a Box Spotted Owl contains a Folkmanis brand mini finger puppet of the Spotted Owl, its lunch box with a description of the Spotted Owl, its habitat and zoological information for the student and teacher on the inside cover for reference, objects that represent what a Spotted Owl may eat, including but not limited to, a snake, a frog, a bird, a butterfly, a mouse and a rabbit. 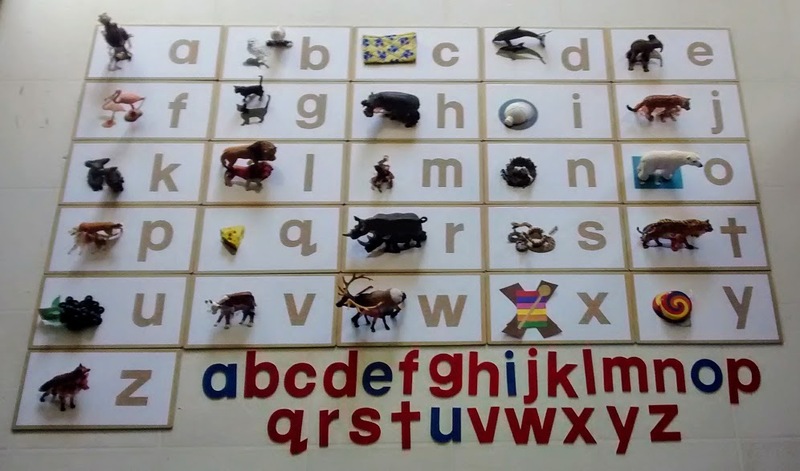 You receive a Montessori lesson plan for the teacher/parent detailing how to use the material and the extensions possible, and a reproducible coloring page for the child to use. The Naturalist in a Box is an experiential, hands-on environmental education material for children ages 4 through 9. 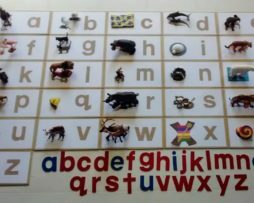 The material is designed to be used independently by the child as he/she explores and learns about Walrus. 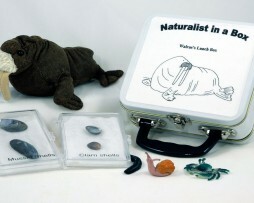 The Naturalist in a Box Walrus contains a Folkmanis brand mini finger puppet of the Walrus, its lunch box with a description of the Walrus, its habitat and zoological information for the student and teacher on the inside cover for reference, objects that represent what a Walrus may eat, including but not limited to, specimens of mussel shells, specimens of clam shells, a crab, shrimp or plastic mussel and a worm. You receive a Montessori lesson plan for the teacher/parent detailing how to use the material and the extensions possible, and a reproducible coloring page for the child to use. The Naturalist in a Box is an experiential, hands-on environmental education material for children ages 5 through 9. 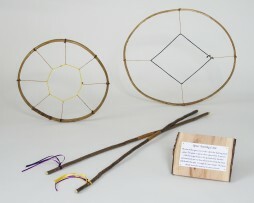 The material is designed to be used independently by the child as he/she explores and learns about a Whooping Crane. 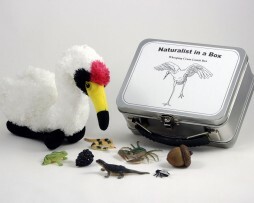 The Naturalist in a Box Whooping Crane contains a aurora brand plush figure of a Whooping Crane, its lunch box with a description of the Whooping Crane, its habitat and zoological information for the student and teacher on the inside cover for reference, objects that represent what a Whooping Crane may eat, including but not limited to, an acorn, a frog, a lizard, a fly, a snake,a black berry and a blue crab. You receive a Montessori lesson plan for the teacher/parent detailing how to use the material and the extensions possible, and a reproducible coloring page for the child to use.